By Sandra Felisa, Cofounder, Blue Octopus Corporation. Miami is a dynamic city that continues to grow with a robust influx of people from Latin America, the Caribbean, Europe, Asia and other parts of the U.S. 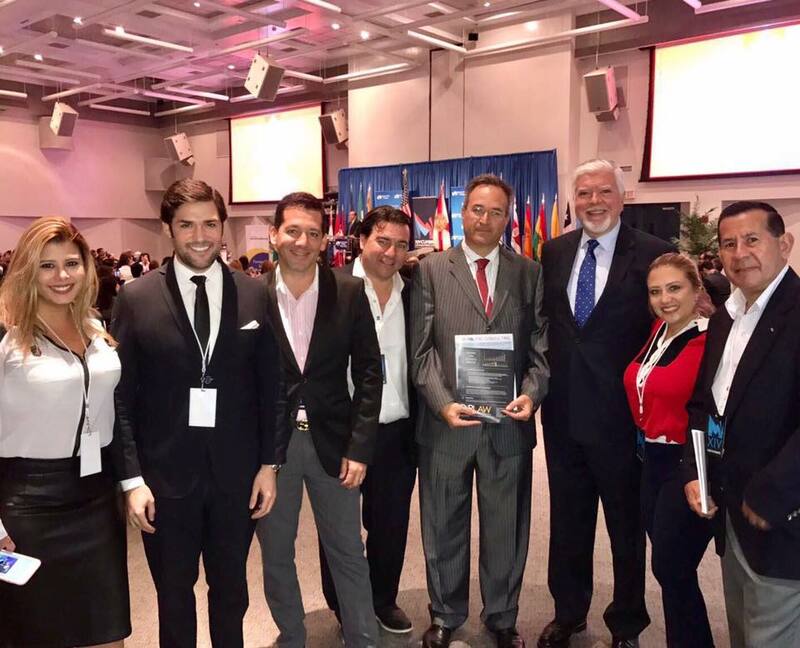 The close proximity to Latin America combined with over 2.5 million Hispanics¹ living in the greater Miami area have created favorable conditions for Latin American entrepreneurs and multinational companies to conduct business in South Florida. Key resources such as a large bilingual workforce with excellent connections to the Americas, over 100 nonstop flights to Latin America from South Florida airports, more than 125 banks and banking institutions with Spanish speaking personnel, limited bureaucracy and minimal costs to set up offices have all played an important role in making Miami the designated gateway to Latin America. My transition to Miami from my native Colombia over 13 years ago was almost seamless. Even though my English was limited when I first arrived it was not an impediment because all of the legal, tax and banking information was available in Spanish. Setting up headquarters in this city and relocating my family was accomplished with the assistance of readily available Spanish speaking professionals. Travel is a large part of my communications and consulting business and the easy access to international airports allowed me to continue traveling to Colombia, Mexico, Venezuela and Central America to conduct leadership trainings with large groups, to work with international clients in public relations and to oversee my investments in Latin America. Basing my headquarters in Miami has allowed me to work with some of the leading companies and entrepreneurs from Latin America and has helped my company grow and expand exponentially. 1. Join any number of the very active business organizations and chambers of commerce such as LABA (Latin American Business Association) or the US Hispanic Chamber of Commerce who will connect you with established firms and will serve as a trusted resource for referrals of reputable providers or clients. 2. Network through industry specific organizations to increase awareness of your business and to start developing relationships and even participate in international trade missions. 3. Attend diverse business conferences which call Miami home such as Hispanicize, Emerge Americas, Expolit, Cumbre Latinoamericana de Marketing Politico y Gobernanza and many other industry specific conferences which take place here. The more you invest of yourself into this great city, the more Miami will embrace you and give you a great return on your investment. 1. Source: Pew Research Center tabulations of 2014 American Community Survey (IPUMS).